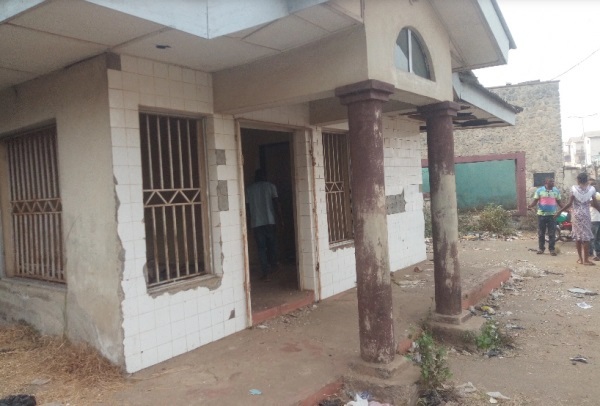 Fear has enveloped residents of Eleyele, Ibadan, the Oyo State capital following the discovery of a den suspected to be a ritualists’ hideout. This is coming few years after a ritualists den was discovered at Soka area of Ibadan where scores of people had been killed and several others agonizing for help. The news of the ritualists’ underground tunnel, hit the city, the development that made many people to troop out to catch a glimpse of the said spot. This prompted journalists in the state to visit the area. It was discovered that there was a tunnel for the control of the flooding on the Dugbe/Eleyele expressway, few metres away from the state police command headquarters in Eleyele. 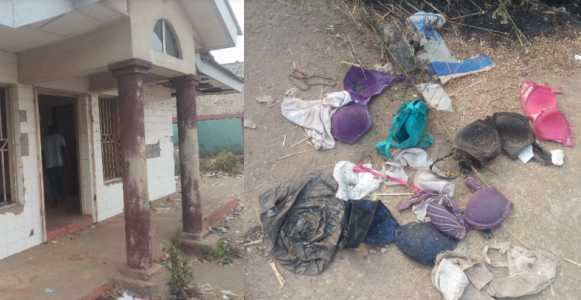 Female under wears and other shanties, which looked like charms, littered the tunnel area, fuelling suspicion that nefarious activities were going on in the area before the discovery. Sources in the area revealed that unidentified security personnel had come to raid the tunnel and caught one man with alleged human parts. There were human footprints to indicate human activities in the tunnel which lie under the main road. The tunnel led to an abandoned filing station on the road, where other items, including brassieres were spotted. A source in the area also revealed that policemen were at the scene to arrest the suspected ritualists. He said “I have been plying this route; you can never believe something like this was here. People have been gathering here since morning. They found people there with human parts. The police came and found people inside the hole. “They took the suspects away. One of them was looking like a mad man, but he was just disguising so that he can do his evil acts without suspicion. 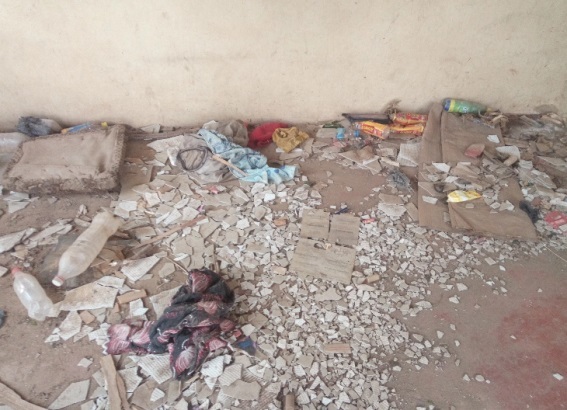 But, the acting spokesman of the state police command, Mr. Akeem Adeyemo said, it was not a ritualists’ den. He informed journalists that he made calls to the divisional police close to the area to authenticate the claim but found out it was not true. Adeyemo said, “Some mad people were seen around the area by passersby who suspected they could be ritualists. They pounced on them and started beating them when the police was alerted.